Nikka envisions the end of the world, and she must fight to stop the coming Apocalypse. In this sequel to Angel Blade, Abaddon has fallen, and Nikka, the seraph, and Jason go into hiding as the rest of the world makes sense of the chaos that had occurred in the battle. But as Nikka struggles to face the impact of the events that took Gideon from her, she receives a disturbing vision about the end of the world. Now, with Jason at her side, she must find another ally foretold in her vision and fight to stop the demon horde from bringing about the final Apocalypse. 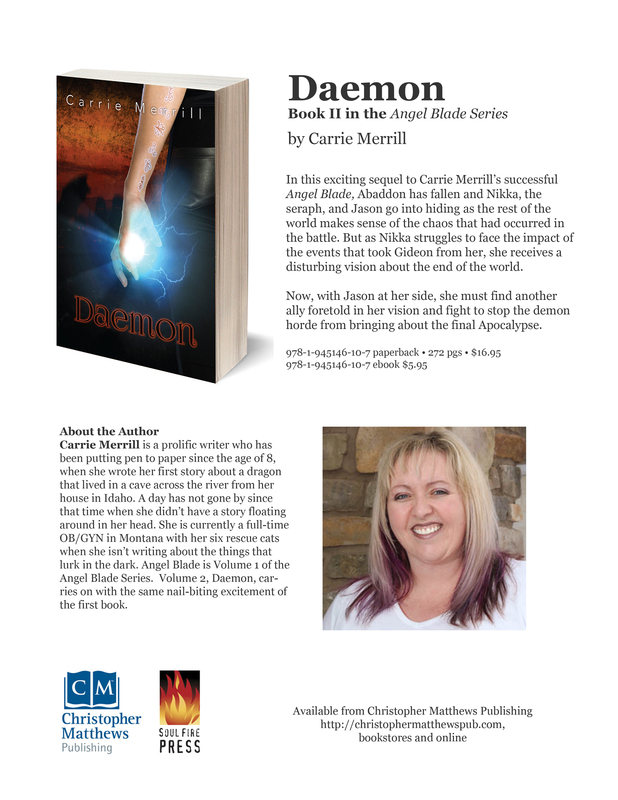 When she isn’t delivering babies, Carrie Merrill is a prolific writer who has been putting pen to paper since the age of 8, when she wrote her first story about a dragon that lived in a cave across the river from her house in Idaho. A day has not gone by since that time when she didn’t have a story floating around in her head. 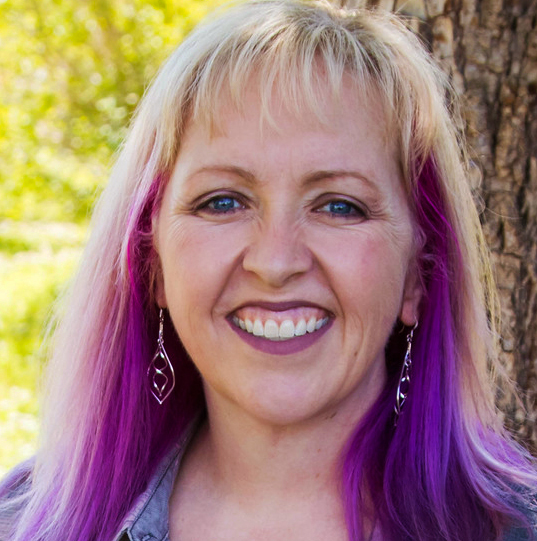 She is currently a full-time OB/GYN in Montana with her six rescue cats when she isn’t writing about the things that lurk in the dark. 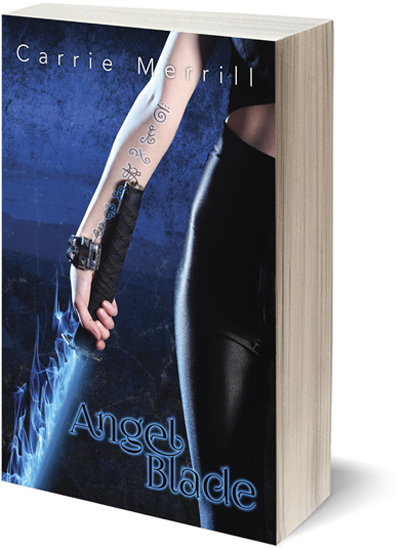 Angel Blade is Book 1 of the Angel Blade Series. 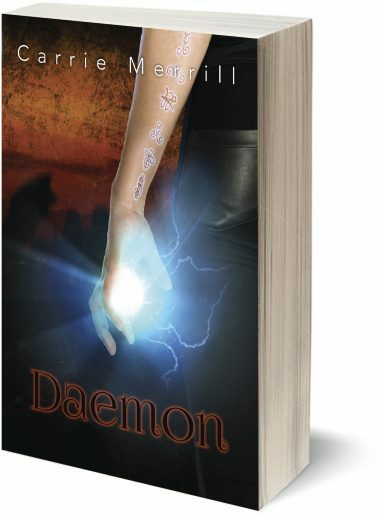 Book 2, Daemon, carries on with the same nail-biting excitement of the first book. The Angel Blade Series is a fast-paced paranormal adventure series that follows Nikki, a young woman dying of cancer until a stranger provides a cure in exchange for her becoming a demon hunter. 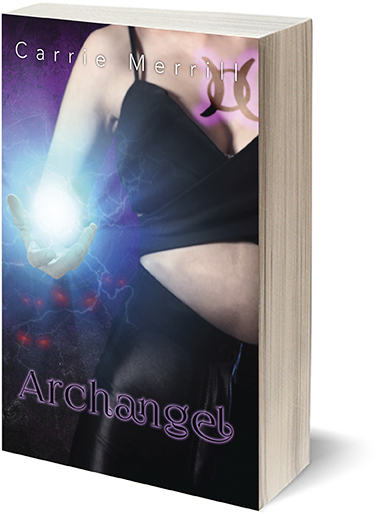 As the seraph, Nilla now wields the power to exorcise and destroy demons, but she must face the most powerful forces of Hell that will try to bring about the End of Days. 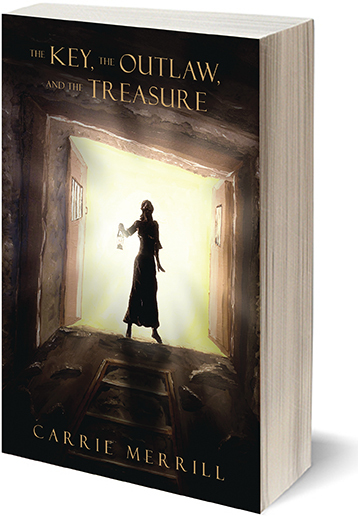 The Key, the Outlaw, and the Treasure is an adventure story that takes place in the Old West. Murder. A mysterious map. Buried Templar treasure. A gang of outlaws. There’s no going back for Anna Holloway.